Nobody knows exactly when The Ebrington Arms was built but most guesses are around 1640. The building was thought to originally be a a large dwelling or farmhouse but the building has spent most of its life as a public house. Whatever its origins it’s definitely always been the hub of village life, set in stunning countryside by the village green. Chipping Campden based estate manager, William Harrison, goes missing and is presumed dead when his blood stained shirt collar is found just outside Ebrington. His manservant, John Perry, along with Perry’s mother and brother, are all hanged for Harrison’s murder. Harrison returns to Chipping Campden two years later, claiming to have been abducted and sold into slavery in Turkey. The story is known as the Campden Wonder and has provided the source material for several books and plays. William Kyte is recorded as the first registered landlord of The Ebrington Arms. During his tenure Kyte was admonished by the local authorities for keeping a disorderly alehouse. He was subsequently ‘supressed from selling ale or any other liquors.’ However, the pub remains in the Kyte family for nearly 200 years. Samuel Kyte sold ale without a proper licence. He needed the recommendation of the vicar that was ‘not forthcoming’. In 1788 and 1790 Samuel Kyte was convicted of selling ale without the proper licence. First offence was fined 40 shillings and 5 shillings expenses and his second offence fined £4 and 4/6 expenses. Local landowner, Lord Fortescue, stages a party at the pub for the village in celebration of his son’s ‘coming of age’. It is known that excellent beef and mutton as well as a suitable quantity of beer were served to over 200 people who attended the feast, and public records state that a ‘bellyful of good victuals and drink’ is enjoyed by all. The small village green, situated at the front of the pub, becomes known as The Three Oaks after a local father of six boys ‘appealed to the almighty’ for his wife to give birth to a daughter. When a daughter finally arrives, the overjoyed father plants the three oaks as a living tribute to his good fortune. On 27th August 1847 Ann Kyte appeared personally at the County of Gloucester as the lawful widow of William Kyte who had died on June 22nd in testate (leaving no will). He left ‘goods chattels and credits’ to the value of £200. Several other ale houses sprung up in the area to cater for the Irish navvies working on Brunel’s Great Western Rail Mickleton Tunnel. The Magpie at Charingworth and The Pig and Whistle at Hidcote Boyce (now occupied by a new house bearing the same name), The Red Lion in Ebrington (now a private cottage) and The Wheatsheaf Inn (Top Farm) which is known to have operated in the 1890s before losing its licence. The Wheatsheaf Inn ceased trading when the vicar , the Rev. C. E. Hornby, asked the licensee, Joseph Williams not to renew his license for the locals would walk along the footpath ‘over the clouds’ towards the Vicarage and ‘loll’ against the hedges which deeply upset him. Being a godfearing man, Joseph apparently readily agreed. Valuation of effects of The Ebrington Arms, then the property of Miss Elizabeth Kyte (March 20th). Various prints framed and glazed, oil painting. 1 and a half dozen orange bitters, 3 doz pints of claret (Vin Ordinaire), 4 doz pints St Julien, 9 doz orange bitters, 1 doz Julien Claret, 1 gallon of brown brandy, half a gallon of port, cask of sherry, 1 gallon of whisky. £23-3s 6d. The village parish council write to the Government regarding the ‘need for legislation’ with reference to the manufacture of beer which they state should only be brewed from ‘barley, malt, hops, yeast and water.’ The council cites no less than 667 cases of beer poisoning in neighbouring Staffordshire, with some beers featuring arsenic amongst their dubious ingredients. The pub’s Club Room (now two ensuite B&B rooms) is renovated and extended. The space provides local groups with a dedicated meeting room and is on occasions used as a makeshift cinema. The pub is advertised for sale and is described as a ‘stone-built and slated freehold free and full licensed inn containing an excellent underground cellar’. There is a good well of water on the premises (now known to be under the flagstones in the first dining room) and an “exceedingly good trade of 150-200 gallons of beer and stout”. The pub is subsequently sold to William Ernest Page, thus ending the Kyte family’s 196-year tenancy. It is thought that William Page added the end extension to the building. October 23rd marked the end of an era when the pub, connected with the Keyte family for 196 years was auctioned by Frank Parsons & Co and sold for £1000 to Hunt Edmunds the brewers. Regular ‘smoking concerts’ are held in the village to provide the 19 local men fighting in the First World War with supplies of cigarettes and tobacco. New landlord, William Page, approves of these efforts, as he is one of the men on active service. By 1914 many fixtures and fittings were transferred to the new tenant, Mr William Ernest Nicholls Page, including; 17 brownware cider cups, 7 ginger beer openers, 94 willow pattern plates, 32 pint cups and 5 iron spittoons. Lot 1 also included a trap shed and thatched stabling for 8 horses. Lot 2 comprised “all those 4 recently erected (1886) brick built and slated freehold model cottages, known as Victoria Terrace, with the gardens and outbuildings, adjoining Lot 1, and producing a rental of £26, the landlord paying the rates.’And so began a new era at the pub with the Page family, some of whom still live in the area today. Local magistrates are engaged in a five and a half hour session to deal with 22 summonses resulting from a ‘near riot’ in the village. The incident, which becomes known as the ‘The Christmas Eve Fracas’, saw festive revellers (following a busy night in The Ebrington Arms) going on the rampage after residents actively discouraged their inebriated attempts at carol singing. The kitchens beneath the Club Room become a butchers shop and remain so until 1954. The original meat hooks still hang from the ceiling in the pub’s new dining room. The Club Room is used to allocate evacuee children from London to local families throughout the Second World War. Locals donned fancy dress as part of ‘Wings for Victory Week’ and stage an imagined enactment of the capture of Hitler and Goering. Once seized, the Nazi leaders are imprisoned in The Ebrington Arms. The second annual meeting of the Pig Club also took place at the pub this year, attracting no less than ’95 members and 115 insured pigs’. Feb 3rd – the ladies of the village flocked to the club room to consider the question of forming a WI. Mrs S. Righton chaired and 45 women joined immediately. The funeral of pub landlord, William Page, takes place on 30th June. Amongst the floral tributes is one from the ‘Ebrington Arms Locals’. Locals are told to obtain their new ration books from the pub on 20th April between 2:30 and 5:30pm . Joseph ‘Joe’ Page becomes the licensee of The Ebrington Arms. At the cost of £100, the three oaks on the green are surrounded by a stone wall, with the area beneath the trees converted into a car park. The parish council discusses the problem of bad language heard in the region of the three oaks. Joe Page’s son and daughter-in-law, Bruce and Shirley Page, take over the running of the pub. Planning requests heard in May include the conversion of the games room at The Ebrington Arms into three bedrooms and a bathroom. The Evesham Journal reports that Bruce and Shirley Page are leaving the pub after 14 years as licensees to set up home in France, therefore ending the Page family’s 70-year history of running the pub. The Evesham Journal reports that The Ebrington Arms is to change its name after 280 years. The pub is renamed The Three Oaks by new landlady, Judith ‘Queenie’ Johnson, who didn’t like that the pub’s name and coat of arms was derived from long-time local landowner, Lord Ebrington of the Fortesque family who weren’t ardent supporters of the pub. Many locals boycott the pub, whilst many of the remaining customers continue to refer to it as ‘The Arms’. Gareth and Wendy Richards take over the pub and immediately change the name back to The Ebrington Arms. Lord Ebrington gives his blessing to reuse the name and donates a painting of his coat of arms to be hung the pub. Graham and Sarah Springett bought the pub with Sarah’s parents who had run the popular Plough Inn at Ford. They quickly establish up a strong trade, and the new landlords immediately win the approval of the locals by building a new toilet block to replace the old facilities that previously had to be accessed via the car park. Barry Leach ran the pub as upmarket restaurant but allegedly went bust. Jan Faber – lived in village having bought the pub from Barry, put it back on the market again after only 6 months. Claire and Jim Alexander the pub’s current landlords gave up successful careers in the music industry to buy, run and fully renovate the pub. In addition to winning numerous awards for their food, drink and accommodation including being named the Campaign for Real Ale’s North Cotswold ‘pub of the year’ in 2009, 2010 and 2011 Jim and Claire have hugely extended this historic building and have opened up what was formerly the kitchen into a new dining area. Took over in January – very little existing trade with chequered history of fleeting past owners. James Nixon joined us as head chef on 1st July. Refurbished the one existing B&B room and created two other ensuite letting rooms. Achieved 4 star rating from Visit Britain. Held first Summer party for the village at the end of July with a ‘Hawaiian Tropic’ fancy dress theme. Started a monthly pub quiz, still running. Became a ‘family business’ with the birth of George Alfred on 18th December (born a week early on the busiest week of the year). Summer party in July – the theme was ‘The Wild West’. Refurbished the bar including the old flagstones and undertook some sandblasting to restore more of the original features. Created The Ebrington Arms Football Tournament in September to raise funds for the local Recreation ground – pub teams from across the North Cotswolds fight it out for ‘The Yubberton Cup’. Veteran match also. Pub included in The Good Beer Guide and The Good Food Guide, rumored to be for the first time in the pub’s history. Halloween party – lots of fancy dress fun. The pub held a beer tent at the Village fete for the first time, hailed a big success, raising around £300 for the village charities – now annual charity raiser. Folk music night started at the pub – still runs on the first Monday of the month. Won CAMRA North Cotswold Pub of the Year – another first for the pub, beating stiff competition from around 90 other pubs in the area to win the coveted title. Recommended in Michelin Guide for food – an independently reviewed guide for foodies, another first for the pub. Summer party in July – the theme was Pirates of the Caribbean. Started monthly food speciality evenings. A chance for our chefs to show off some of their skills and focus on flavours from particular country or regions. The Ebrington Arms Football Tournament II. Included in The Good Beer Guide & The Good Food Guide again. AA rosette awarded for food for first time in pub’s history. Added to the 2010 Michelin Guide, ‘Eating Out in Pubs’. Pub’s first ever Arm-wrestling competition (May). Hosted by UK champion, Julian Cini. Cheese & wine party in April. Won CAMRA North Cotswold Pub of the Year – rumoured to be in top 5 finalists within whole of the South-West region. Recommended in Michelin Guide for food. Ebrington Arms Football Tournament in September. Inclusions in The Good Beer Guide, The Good Food Guide and AA rosette scheme re-awarded. 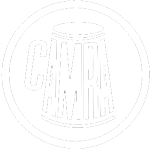 Won CAMRA North Cotswold Pub of the Year for the third time, said by CAMRA to be ‘highly unusual’ for a pub to consistently beat off its opponents for three years on the trot. Again told that we are a strong contender to win the title for the whole of the South-West region. Major building work and renovations started in March following the granting of planning permission – built new cold store, office and kitchen and extended the dining room into the old kitchen and owners accommodation areas. This is a big change for the pub and its village so we are celebrating with a big launch party on September 1st – all locals invited. The facility will allow us to cater for bigger parties and take more bookings. We hope the extra tables will avoid us turning so many customers away (as we still have the majority of first come first served tables in the bar as retaining our pub atmosphere remains a priority). The Ebrington Arms Football Tournament is back in September with the addition this year of the local PTFA’s involvement to replace the veteran match. The vets claim they’re past it so we’re having a mini junior tournament instead and refreshments available and fun for children. Given the ongoing recession doom and gloom we decided to revive the pub Thrift Club this Spring to help people save towards Christmas. It used to be a strong club at the pub many years ago. Big year for romance in the pub – at least three proposals and two weddings took place here. Couples staying for the weekend were always coming downstairs in the morning telling us their exciting news – bound to be more weddings at the pub. Our second couple to get married at the pub decided they loved Ebrington so much they have since moved here and are now a happy addition to our village community. Included in The Good Food Guide, Michelin Guide, Good Beer Guide and awarded an AA rosette awarded again. Family business expanding in other areas with baby number two due on November 27th. 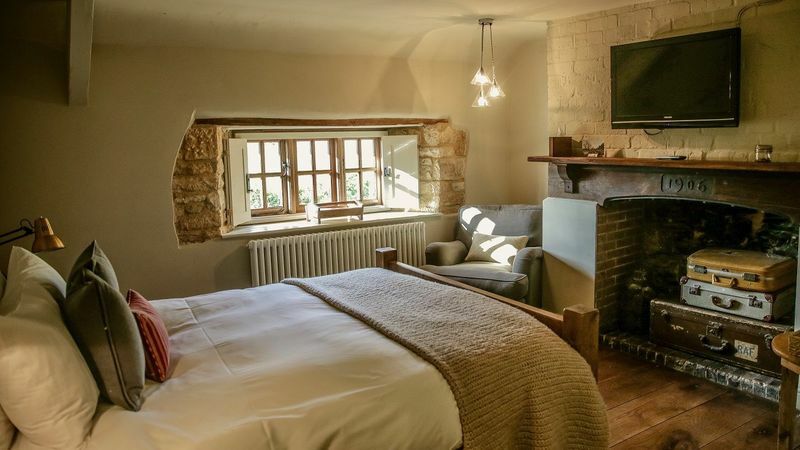 Renovated and opened second pub, Oxfordshire’s The Killingworth Castle. Runner up in CAMRA North Cotswold Pub of the Year 2012. Changed the old pub accommodation into a further two ensuite letting rooms – bringing the total to 5 now available. Started brewing our own beer. We now have Yubby and Yawnie bitters available at both of our pubs. Ran a charity live auction to raise money for the village primary school and raised over £10,000. Completed our first year at sister pub, The Killingworth Castle, which in its first year was awarded 2 AA Rosettes and a Michelin Bib Gourmand. It was also named Restaurant of the Year by The Oxford Times and was listed in the Sunday Times best 500 UK places to eat. We won North Cotswolds CAMRA Pub of the Year award… for the third time. YAY!!! Renovations continued at The Killingworth Castle and we did a huge amount of landscaping to give our Oxfordshire pub the ‘kerb appeal’ it deserved. The Killy was also awarded ‘Pub of the Year’ by The Oxford Times & Mail. Meanwhile at The Ebrington Arms we were busy developing another craft ale. ‘Goldie’ was born, giving us a stunning pale ale so we now have three beers under our belt. In October we ran an apple pressing day in the beer garden where everyone could bring their apples and start making juice….or CIDER!!! This month also saw Yubbyfest – a beer festival weekend with loads of bands that was a huge success! We even squeezed in an afternoon Ceilidh for the kids. We won an AA Gold Breakfast Award for our fine full English and menu that includes eggs benedict and homemade pancakes, yum! Refreshed our bar snacks menu so we can offer walkers and the like something from 9am in the morning right through til close! And our ‘Yubby’ bitter was shortlisted for a Cotswold Food and Drink Award too! We were awarded Two AA Rosettes for the FIFTH YEAR RUNNING! So chuffed. In April, we helped organise a charity fundraiser and the first ever ‘Cotswold Charity Cycle’, which ran between our two pubs and back to raise funds for our local school. Our beer garden was noted in the Telegraph’s Top 5 Cosiest Pubs in the UK. Cotswold Life magazine also listed us in their Top 5 pubs to visit across the Cotswolds. We refurbished and opened eight new letting rooms at our sister pub, The Killingworth Castle, near Blenheim Palace. We ran the bar at the village’s first ever Farm Sunday, raising money for our village school and had a great ‘Meet the Winemaker’ evening ensuring our drinkers are as looked after as our foodies of course! A proposal was launched to close our village primary school and a big fight to oppose it began. The pub was actively involved (having kids there and being our other heartbeat in keeping our village alive and thriving). In October we put on a huge charity supper for MSF (Medicins Sans Frontiers) to help the refugee crisis and managed to donate over £5,000 to the charity! Underwent refurbishment of rooms and all public areas, including our gorgeous small cosy pub bar being painted chocolate brown! Staff were horrified but the landlady was dead cert and it looks so gorgeous. It’s even been featured in an interior design magazine. Our Annual Cheltenham Races Preview raised over £1,500 back in March for The Injured Jockey Fund – and to raise funds to keep the fight going to save Ebrington Primary School. It was a great evening with Talksport’s Rupert Bell and Milton Harris hosting. We held our first ever Asparagus Feast to celebrate our local delicacy which was a great success. Four courses, including the pudding! We had a talk from Andrew Drinkwater who produces most of our ‘grass’ as its called locally. We’re so lucky to be able to have it grown in the fields around the pub where it can be picked in the morning and on our plates the same day! Huge welcome to a new kitchen crew with the renowned Sonya Kidney at the helm as Executive Chef for both The Ebrington Arms and our sister pub, The Killingworth Castle. We pinched the Head Chef of the Kingham Plough, Ben Dulley, who joins local chef, Chris Ellis. We finally managed to Save Ebrington School – a huge campaign was run by the community and parents and we are so delighted as it really is a Cotswold gem in our village – and has the Ofsted report to prove it! In July we celebrated the school’s 175th birthday are are all delighted to now be focussing on its fabulous future. Penelope Keith lunched in the pub and even got behind the bar with bar manager Chris, while she was filming in Ebrington for her ‘Hidden Villages’ series on Channel 4. Look out on TV this Autumn. Awarded Green Traveller’s ‘Escape of the Year' by The Telegraph columnist, Harriet O’ Brien. A huge year for Jim and Claire who celebrated their 10th year at the pub (official pub birthday was January 18th but there was a huge summer party to mark the occasion - Yubbyfest. Not only was the decade being celebrated with friends and regulars, but the pub was also celebrating its 300th year as a licensed venue with William Keyte being registered as the fist landlord in 1717. Bottled Goldie, our IPA beer in time for Christmas. The Good Pub Guide has awarded us ‘Best Newcomer’ for their 2018 guide - slightly odd after ten years in the trade, but first time in their book. We have been listed in The Good Beer Guide since we took over in 2007.